Ergänzung: dt., engl., zahlr. Abb. To engineer the millions of murders they committed in the concentration and extermination camps, the SS needed civilian experts. The J. A. Topf & Sons Company of Erfurt played a leading role. Its incineration ovens made the disposal of the corpses quick and inexpensive. Its ventilation technology optimized killing operations in the Auschwitz-Birkenau gas chambers. 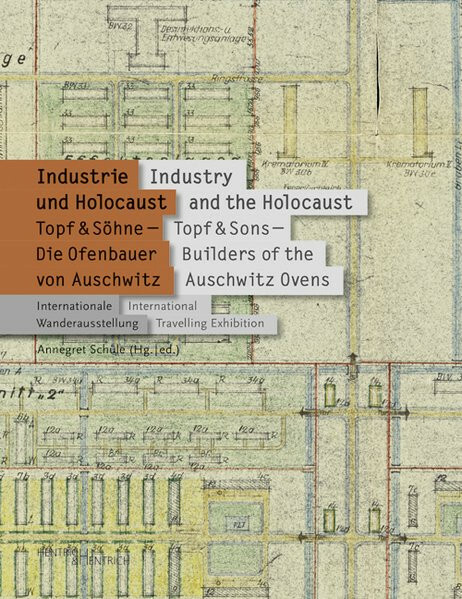 Key documents on the Holocaust from Auschwitz, Moscow and the company archive are the focus of this volume edited by Annegret Schüle to accompany the international travelling exhibition of the Topf & Sons - Builders of the Auschwitz Ovens: A Place of Remembrance in cooperation with the Buchenwald and Mittelbau-Dora Memorials Foundation. The exhibition opened in the former laundry barrack of the main camp at the Auschwitz-Birkenau Memorial and Museum in 2017.